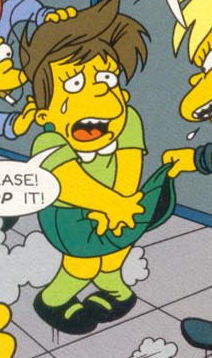 Blubber is a student at Springfield Elementary School. When Lisa was visiting the bad girls' bath room at the Springfield Elementary School Blubber was being bullied by the other girls. Modified on May 5, 2017, at 17:36.